When you cook without boundaries, you can take your menu anywhere. Inspired by the culinary craftsmanship of master chefs, the new Garland® Restaurant Range is the expert’s choice for durability, performance and ease of maintenance. Garland Empowers Better Cooking. 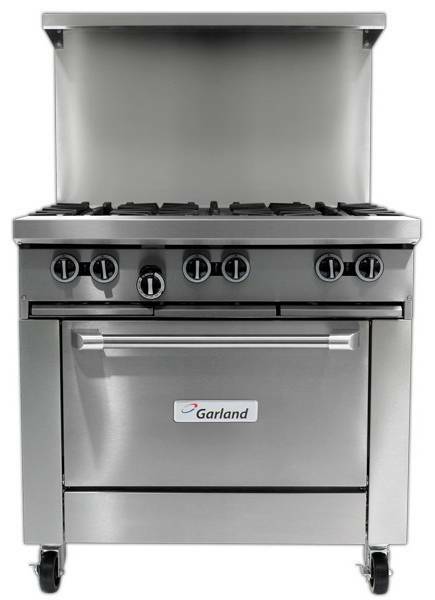 Garland designs ranges, broilers, grills, ovens and cooktops that push the standards for performance, style and ease of use. From intuitive user interfaces to innovative heat technology, Garland equipment enables you to create exceptional patron experiences without limitations. The Garland Restaurant Range was inspired by chefs and engineered by experts to empower your unlimited culinary creativity through unmatched performance and durability. For more than a century, we’ve listened to the needs of chefs and created a range so intuitive and adaptive, it helps you take food further. 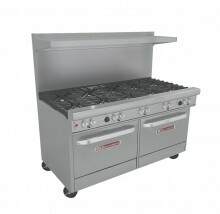 Gas restaurant series range with standard size Sunfire oven. 35-7/16" (900mm) wide with a 27" (686mm) deep work top surface. 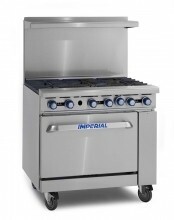 Stainless steel front, sides and 4" (102mm) wide front rail. 6" (152mm) legs with adjustable feet. 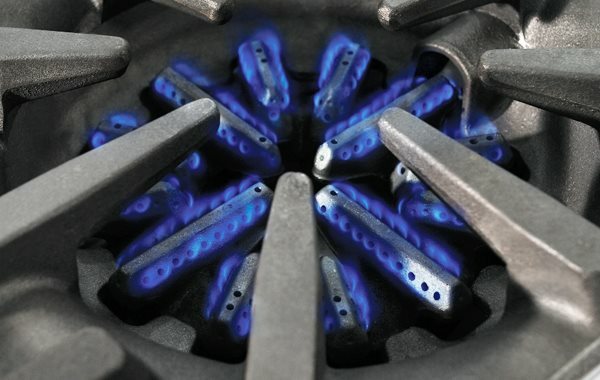 Six robust 2 piece 30,000 Btuh/8.797 kW (Natural gas), cast open burners set in split cast iron ergonomic grates. 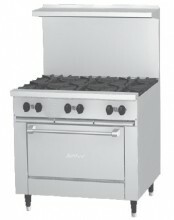 Griddle or optional hot top with cast iron "H" style burners, 18,000 Btuh/5.27 kW (natural gas), in lieu of open burners. Porcelain oven bottom and door liner. Two position fixed rack guide w/one oven rack. Heavy duty oven door with "keep cool" door handle. Straight steel tube oven burner 33,000 Btuh/9.67 kW (natural gas) provides quality bake and good recovery. 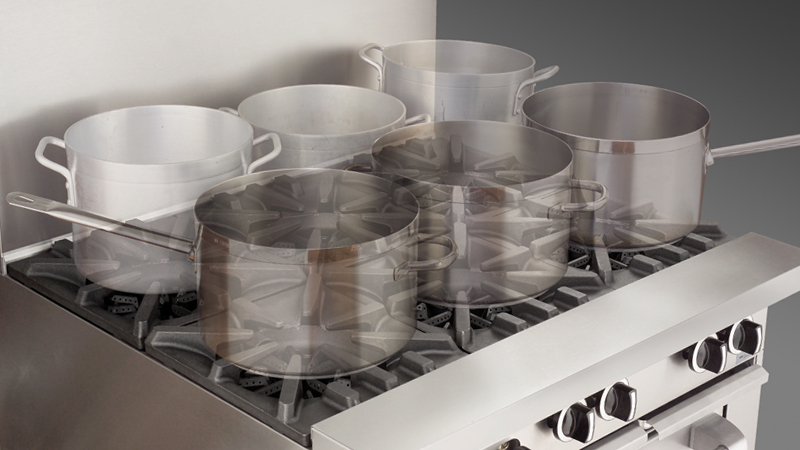 Oven thermostat ranges from Low to 500° F (260° C). Available with storage base in lieu of oven.